Use your hose or water faucet to automate your gardens! If you have an easy hook up to an outside faucet or hose, here's a great way to get started. 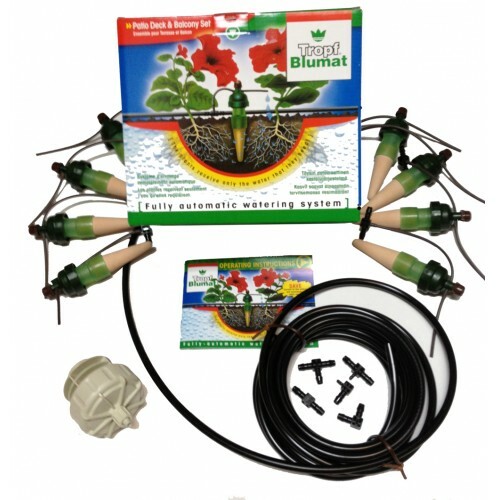 This kit has everything you need to set up a small garden or set of pots and you can expand it to do 500 different watering spots, and rows or planter boxes from those spots.